What is Human Capital Management? For Human Capital Management How Real is Real-Time? Is human intervention hiding in your Human Capital Management? What is Human Capital Management? Learn with an Example. HR managers face great challenges such as managing attrition, encouraging retention and meeting ever-increasing demands from employees, customers and executives who want greater efficiency and HR input on achieving business objectives through hiring strategies and people management practices. But many companies still fail to invest in good human capital management practices. In the following paragraphs we'll explain what human capital management is, why it's valuable to organizations like yours, and how to make it a priority at your place of business. By BP Gallucci, Communications Manager, Ceridian. It may sound great to have a human capital management (HCM) solution provide you data about your people and your business in real-time. People that are demanding real-time HR information are missing the point. By BP Gallucci, Communications Manager, Ceridian. At the heart of all this is the fact that human intervention in a business’s HCM is costly. There are gaps for human intervention to hide in. Human Capital Management relies heavily on integrated talent management suites. The talent management software industry is thriving in market value, which is only expected to grow. To learn more about our Talent Management Software, click the button below! The KBA advocates for member financial institutions to partner with PeopleStrategy for end-to-end human capital management technology. We are excited to be endorsed by the Kentucky Bankers Association and look forward to providing innovative products and services that will change the way KBA members think about human capital management, and help them to create new possibilities,” said David Fiacco, PeopleStrategy’s president and COO. Organizations need a human capital strategy that enables them to think strategically about managing, engaging and retaining the entire workforce. Human Capital ManagementProductivity depends on workforce engagement. An engaged workforce is satisfied and productive. 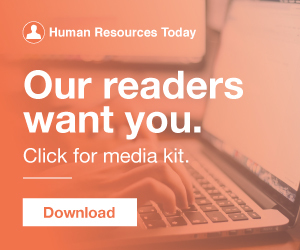 Human Capital Management Regulatory Compliance compliance glocalization HCM hcm strategist Human Resources Management large enterprise Thought Leadership This post is the second in a two-part series that looks […]. Many ERP partners have come to realize the overall value of including a Human Capital Management solution with their ERP opportunities enhance the value proposition to their prospects or their existing clients. Human Capital Management system requirements. Tips for Successful talent management. Randnotizen.org // cc by 2.0 //. Each year, Deloitte publishes an extensive data and research report that every HR and OD professional will find valuable. Talking to peers about the challenges – and opportunities – they face with workforce management (WFM) is useful, and quantitative research can deepen these insights. That’s why Ceridian collaborated with Innovative Retail Technologies to survey more than 150 retail workforce managers to better understand their most important HCM (inclusive of WFM) initiatives over the past year. By John Orr, SVP of Retail, Ceridian. Sherry Schultz, Chief Human Resources Officer at Walser Automotive Group, is this week’s featured guest on The Best Team Wins podcast. Last week, Hireology hosted Elevate 2018, the only retail automotive summit dedicated to human capital management. 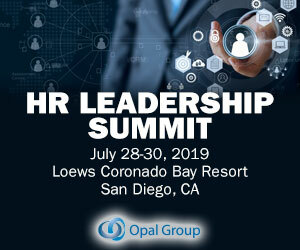 Human resources, talent management, and business leaders heard from industry influencers, shared best practices, and learned how forward-thinking organizations are employing modern HR to transform their organizations. Here, learn more from human capital management experts. Your nonprofit faces many of the same challenges, including controlling costs, increasing efficiencies, and managing compliance, which confront organizations in the private sector. 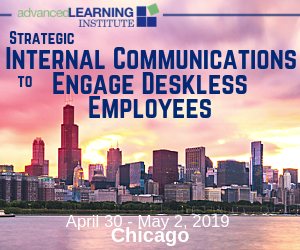 At the same time, you’re grappling with issues like reduced funding, ever-increasing demand for services, and a widely dispersed workforce — all of which can make it more difficult to achieve your mission. Human capital management (HCM) is growing in popularity as one of the most powerful tools businesses can leverage to increase their productivity. What does Human Capital Management (HCM) Technology Offer? As human resource professional, where do you spend most of your time? Learning Management. Paycor helps more than 30,000 organizations manage their most critical asset, their people. Elevate 2018 , the only retail automotive summit dedicated to human capital management, is officially a wrap. Leadership and management training. Management skills represent one of the biggest skill gaps in the job market—in fact, management roles have larger skills gaps than those of the people they manage. One reason for this is that companies want to hire managers with prior experience, which is only logical. Human Capital Management (HCM) is one of those nebulous terms in the talent management conversation. Is it competency management? HR Best Practices Human Capital ManagementIs it recruiting and succession planning? Is it streamlining the daily HR tasks essential to organizational survival? HR professionals continue to take on more responsibility with less support, transforming them into strategic analysts who must prioritize business goals parallel to human capital management. But as senior HR managers juggle the tasks of an entire department, their ability to focus on accurately analyzing all that goes into managing their workforce is increasingly diminished. Today’s midsized companies are growing ever more lean and agile. 7 Possible Human Capital Management Resolutions for 2017 Published date: January 3, 2017 Home. An intelligent applicant tracking system loaded with additional recruitment functionality can narrow the relevant list of candidates to manageable levels.